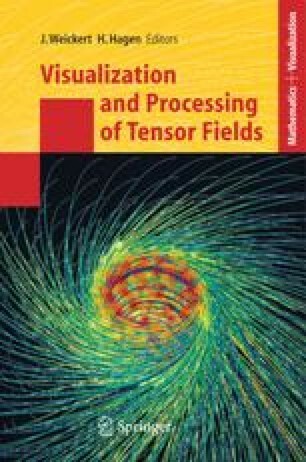 Tensor field visualization aims either at depiction of the full information contained in the field or at extraction and display of specific features. Here, we focus on the first task and evaluate integral and glyph based methods with regard to their power of providing an intuitive visual representation. Tensor fields are considered in a differential geometric context, using a coordinate-free notation when possible. An overview and classification of glyph-based methods is given and selected innovative visualization techniques are presented in more detail. The techniques are demonstrated for applications from medicine and relativity theory.